Restitution for North Carolina brothers wrongfully imprisoned. 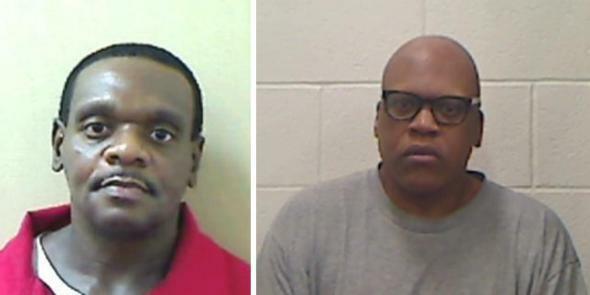 Henry McCollum, left, and Leon Brown in North Carolina Department of Public Safety photos. Call me a bleeding heart, but isn’t it possible that there shouldn’t be a limit on the amount of restitution you can get if you’re wrongly put on death row for 30 motherloving years? Brown was not able to attend Thursday’s hearing because he is “is in the hospital, suffering from health problems including post-traumatic stress disorder,” his lawyer said.